Fall weather seem to be like an on-/off- relationship. – Sometimes it’s sunny and bright and the other day it’s cloudy and rainy again. This annoying feeling, of not knowing what to wear because the weather might change during the day like 1000 times, often makes me go bananas. But luckily there is a very clever solutions, which again makes me feel happy as, when, if not in Autumn, should we layer our favorite clothes? Besides the fact, that wearing more than one layer, keeps us warm, it also looks super cool. Aside from this, I’ve always loved matching different patterns, textures and colors with each other, what makes me fall for this trend even more. My favorite combo is definitely the oversized sweater + shirt + tench coat one. 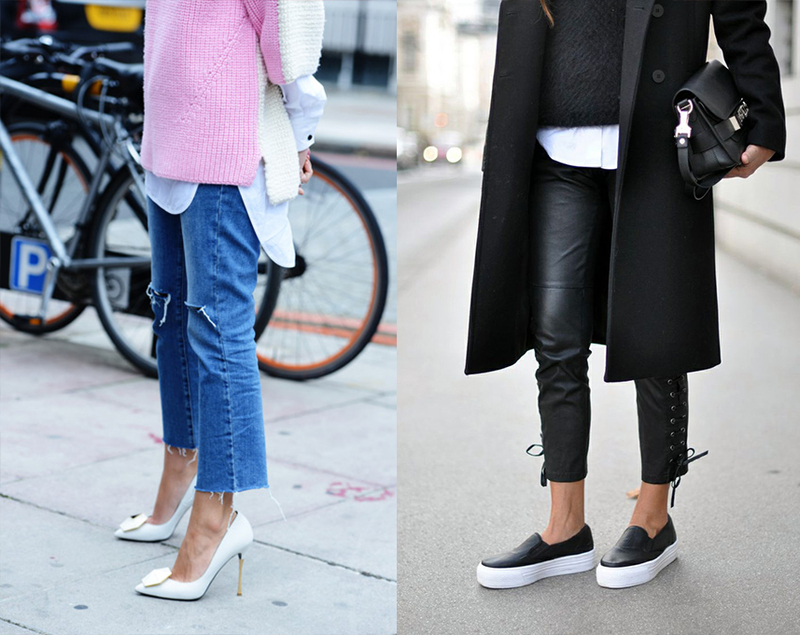 I love how laid-back, but yet, so bold, this outfit combinations looks like at the same time. Oh, and the trenchy of course just has to be thrown over, combined with 7/8 denim pants and high heels. wieder mal ein sehr schöner look! Toller Post! Layern ist wirklich ein ‘Must’ im Herbst :) so schön! Die Schuhe sind der Wahnsinn, von wo sind die denn?